Christmas gifs, Mel Bochner, hacked embroidery and kaleidoscopic flowers from Kapitza. Here are some assorted links and things, seasonal or otherwise, suggested by Eye’s friends and family. 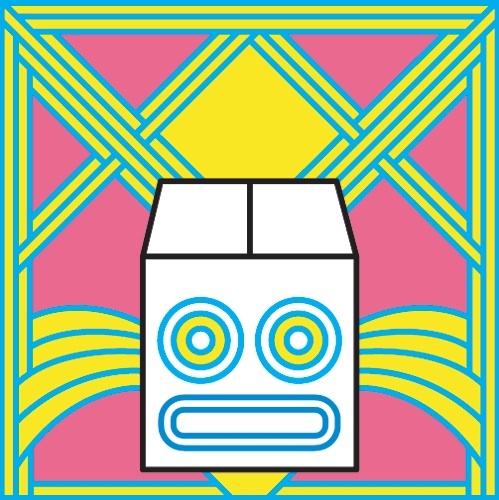 Frame from All About the Giving, a ‘Christmas gif’ by Supermundane, 2012. Mel Bochner: If the Colour Changes. (Ridinghouse, 2012). Book design by Mark Thomson Design. 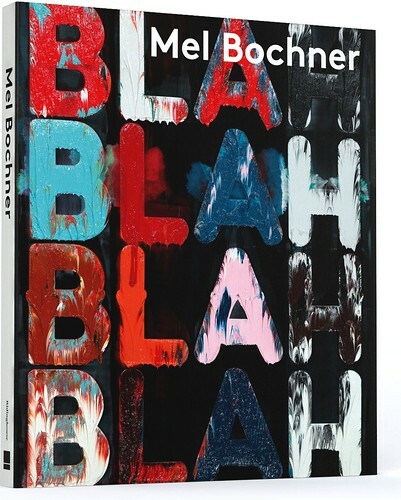 The Mel Bochner exhibition continues at the Whitechapel Gallery until Sun 30 December 2012. Mel Bochner’s If the colour changes (also the title of the exhibition) reads: ‘one observes in order to see what one would not see if one one did not observe’. We recommend the handsome catalogue (above) designed by frequent Eye contributor Mark Thomson. 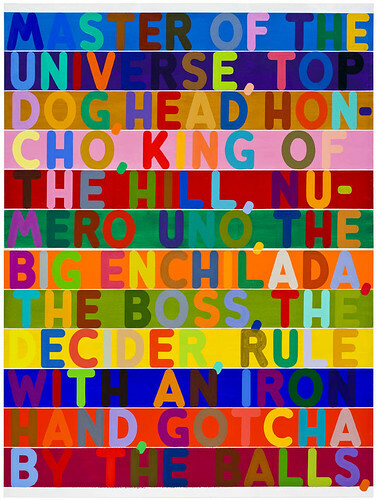 Mel Bochner Master of the Universe, 2010. Oil and acrylic on canvas (2 panels). Overall: 254 x 190.5 cm. Collection Anita & Burton Reiner, Washington DC © Mel Bochner. 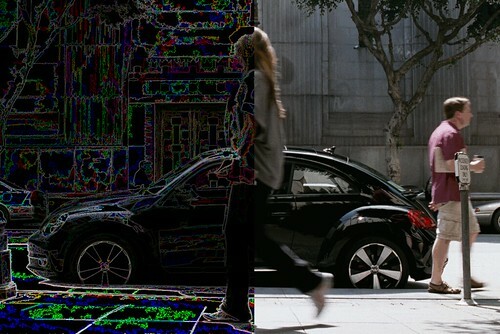 Researchers from the University of Bath, in collaboration with Root6 Technology, Smoke&Mirrors and Ovation Data Services, have developed a sophisticated codec that turns pixel-based motion graphics to vectors. In ‘Is the pixel about to die?’ an explanatory text on the university website, the codec’s ability to fill between contours is described as ‘revolutionary’ by team member Professor Phil Willis. The project was launched at the CVMP 9th European Conference on Visual Media Production in London. 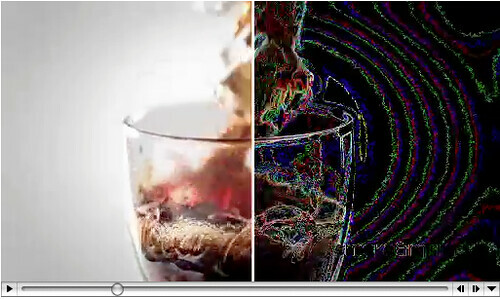 Screengrab from 33-second video by Smoke&Mirrors that demonstrates the idea of the codec, 2012. 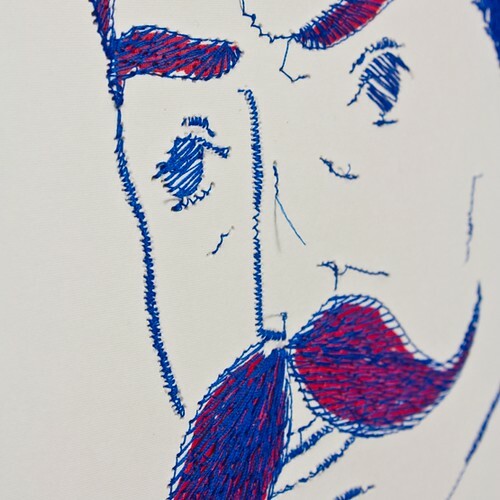 ‘Pens & Needles’, an exhibition at the Print House Gallery (until 14 January 2013), applies a ‘hacked’ digital embroidery machine to inked illustrations, resulting in a series of tactile posters. 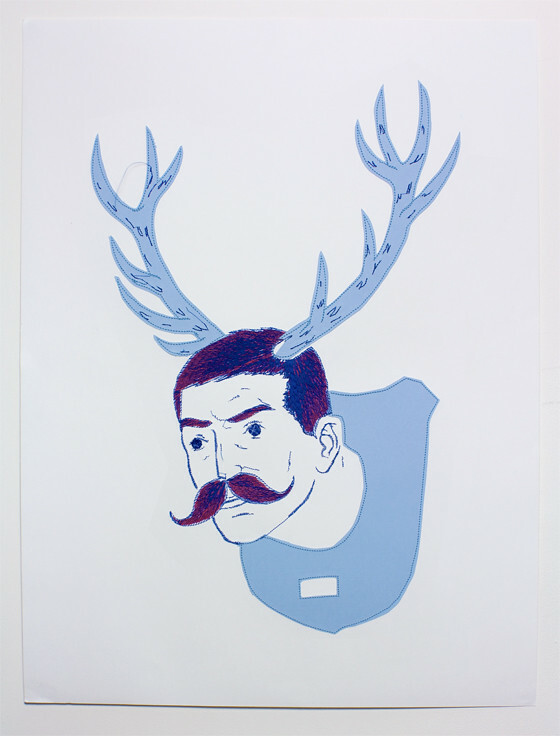 Participants in the exhibition include Paul Blow (top and below), Fred Butler and others. Paul Blow detail. From ‘Pens & Needles’. The US Postal Service has released a set of four stamps (below) featuring Kaleidoscope Flowers designed by Kapitza (see ‘The decriminalisation of ornament’ in Eye 58 and that issue’s cover). Stamps commissioned by art director Antonio Alcalá (Studio A) make use of Kapitza’s font Roto.